Uni Watch: Aside from the Rangers-themed graphics, is there anything new or unusual about this firesuit, or is it pretty much the same thing Jones was already wearing? Tiffany Stambaugh: The firesuit is the same. The only thing different is the colors and branding. UW: As I’m sure you know, the Rangers have several other jersey colors besides blue (they also have red, white, and grey). How was the decision made to use blue? TS: In NASCAR, a majority of the colors associated with paint schemes and firesuits are red and white. Our graphics department thought the blue would stand out against the normal red and white that’s found all around the sport. UW: Similarly, how was the decision made to use grey for the sleeves and pants? Grey is a baseball team’s color for “away” games, while white is for home games. 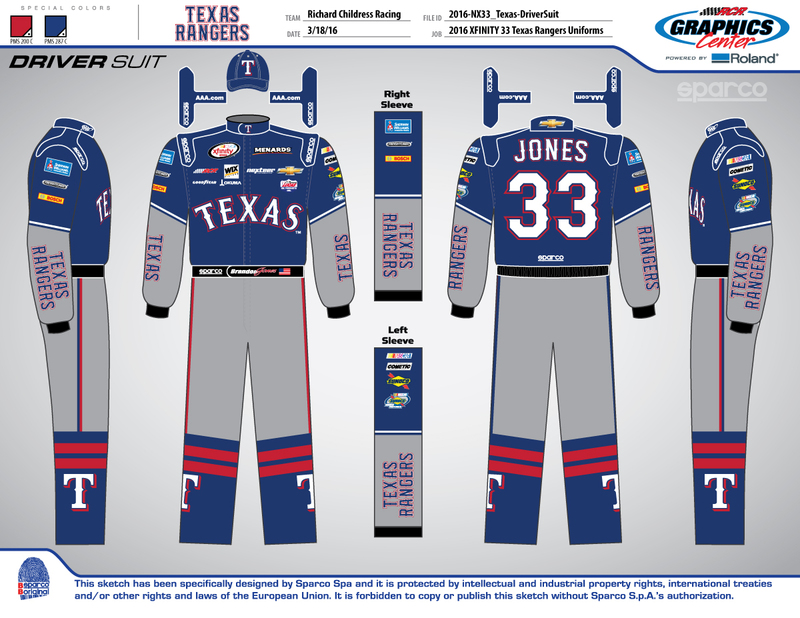 TS: Since Brandon is technically “playing” away from the ball field (he’ll be racing at Texas Motor Speedway in Fort Worth), our graphics team decided on the grey uniform design instead of white. UW: How much involvement, if any, did the Rangers have in the design? TS: Our graphics people developed the firesuit on a whim once the partnership was announced. They thought it would be really neat to replicate a “jersey-type” firesuit for Brandon to wear. 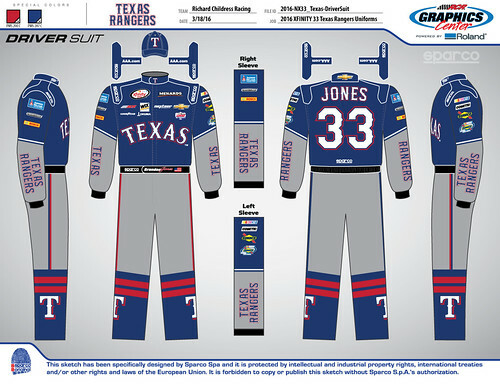 Once they developed the overall look of the firesuit, it was passed on to the Rangers for their approval. They really liked the design and didn’t deviate from the original concept. And there you have it — good stuff. I’m told that photos of the firesuit (as opposed to just the mock-up) will be available later today, so I’ll show those on the site tomorrow. Membership update: I have two slots open on the current membership sheet (which currently includes Andrew Grant’s Syracuse logo treatment, shown at right), which will be going to the printer shortly. So if you sign up today, you’ll get your card very quickly. As always, you can order your own custom-designed membership card here, you can see all the cards we’ve designed so far (over 1700 of them!) here, and you can see how we produce the cards here. Next-to-last call: Larry Torrez’s caricature of me is now available as a T-shirt, but today and tomorrow are the last days to order it. 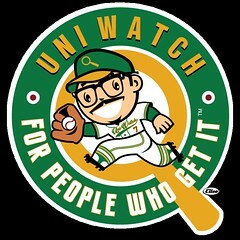 We’re offering it in a variety of colors and styles — grey, black, white, and a white baseball shirt with green sleeves. We’ve also added women’s sizes. Further details here, or just order it here. Thanks. NFL News: Yesterday we lamented that there’s a corporate ad in the “Important Dates in Bills History” logo. Tim Donovan made a clean version of it ”” much better! … Here’s a close-up of Pittsburgh bicentennial patch that the Steelers wore in 1959 (from Jared Wheeler). Hockey News: The Oilers played their final game at Rexall Place last night. Chris Mizzoni sends in this program from the 1975 WHA All-Star Game, which was played at the building when it was called the Edmonton Coliseum. The Oilers will move into Rogers Place next year. … Cuteness alert: Small dogs “playing” hockey in mini Canadien and Maple Leaf jerseys, with helmets and sticks! ”¦ Hmmm, will the Penguins be wearing their alternates in the postseason? ”¦ The artist who’s been creating those awesome Blue Jackets game day posters is leaving the team. [When I interviewed him last fall, he mentioned that his girlfriend had recently moved to NYC and that he was looking to find a job here as well, so this move isn’t a huge surprise. Too bad about the poster, though. ”” PL] ”¦ The Manchester Storm is inviting fans to design the team’s warm-up jerseys. Basketball News: For most of March, Cavs PG Matthew Dellavedova wore a Whoop, a Fitbit-like wrist device that tracks heart rate, body temperature and body movement. The league made him stop because wearable technology is prohibited during games. … Ryan Crisman found an old Dallas Baptist jersey. I dig the block shadow outlined numbers and letters. Soccer News: New crest for Aston Villa. … Minneapolis City SC depicts a skull formed by a murder of crows on their tickets (from Marc Viquez). … Mikey Traynor examined the garish uniforms worn during the first MLS season in 1996. Grab Bag: Jewish scholars, rabbis, and students discussed yarmulkes that feature sports and pop culture images (from Anthony Nuccio). … Here’s the ball Rory McIlroy will use for the Masters. RM5 is for his initials and his attempt to win his fifth major championship (from Chris Perrenot). … New academic and athletic logos for Northern Michigan. Here are some of its new logos (from Alex Nye, Peter Schultz, and Jerry Nitzh). … New logo for Bradley University. … New track and field kits for Canada (from Anthony Gonsalves). … Here’s a photo gallery of the cars at the Richard Childress Racing shop in North Carolina (from David Firestone). … The Russian Communist Party is seeking an international copyright on the red star symbol. Heineken, Macy’s and the State of California await the results. … Las Vegas’s T-Mobile Arena opened last night. The city will use the venue to try to land an NBA or NHL team. ”¦ There’s a push to create a women’s Aussie rules football league, and there’s already some controversy over the proposed uniforms (from James MacNeil). 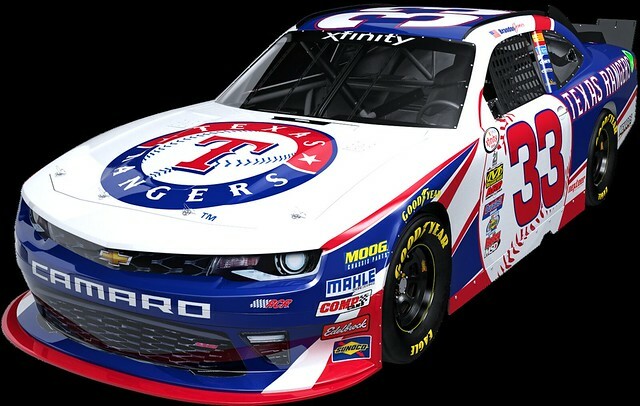 Since the race this car will be appearing in is an Xfinity Series race (basically NASCAR’s AAA), it would have been more appropriate to have it in the colors of the Round Rock Express. See: Putting the cart before the horse. See also: Form over function. Not really. A team’s uniforms are unrelated to its roster and performance. And it’s not like front office effort spent on uniform redesign comes at the expense of effort to improve the roster and coaching. Not only do the team execs involved in marketing/merchandising decisions have nothing to do with on-field decisions, no fan would want them to be involved. Even at the top: For the most part, the more directly involved a team’s owner and CEO is in roster decisions, the worse the team performs. The Pens have worn their thirds in the playoffs before.. 1996, 1997, 2001.. Wouldn’t surprise me if they wore them for the entire run.. Yes indeed. 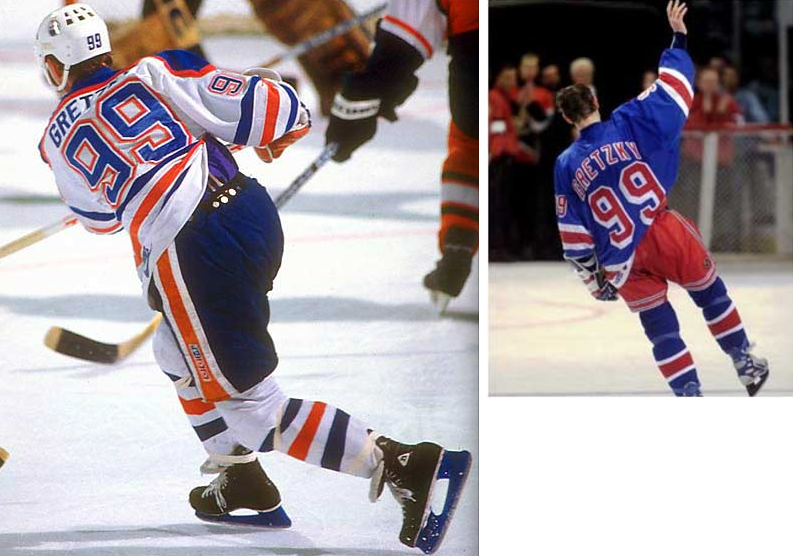 NHL playoffs: one white uniform and one non-white uniform. The alternate can be elevated in the playoffs. Actually, it was only 1996 and 1997. After the 1997 playoffs, that third jersey replaced the diagonal “Pittsburgh” jersey as their regular road jersey, and that’s what they wore in the 2001 playoffs. Thanks for the update on the Phillies change. I’ve emailed the team to express my displeasure with the new blurry script and bogus explaination. 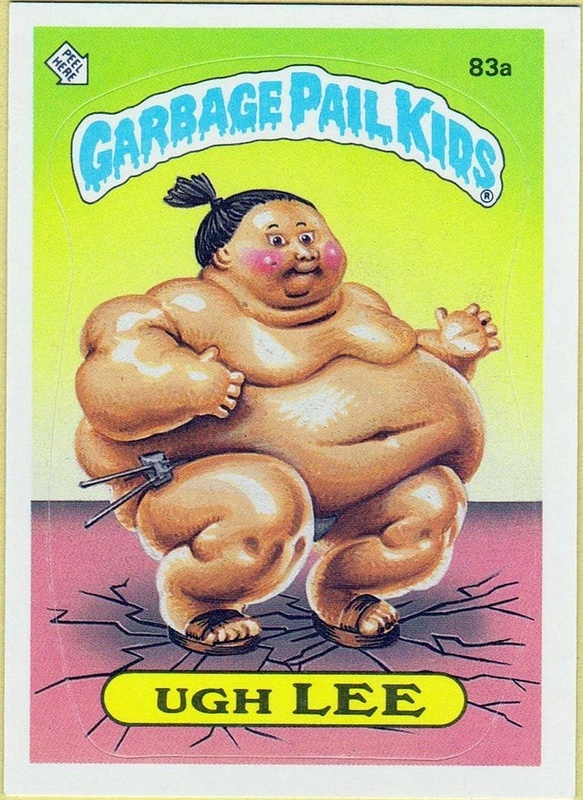 I could’ve sworn I remembered an MLB Opening Day car but I couldn’t track it down after a good amount of googling. Of course, thee is Jr’s All Star Game car. Yeah, there are several of those. I think they’re mostly covered in that thread. That’s an interesting partnership. Do you think we’ll see that happen with other teams/sports tied to home-town races. A “house divided” car at Michigan International Speedway would be cool. There’s a push to create a women’s Aussie rules football league, and there’s already some controversy over the proposed uniforms (from James MacNeil). So it seems the women’s footy uniforms don’t look all that different from the men’s. Is there a team that doesn’t like the function of its kits? By the same token, is there one that praises its ease of use? Ask the athletes. To this outsider, a women’s uniform that bares as much skin as the men’s would be hauled up on claims of sexism (Yes, I see the oxymoron). The dustup over the manufacturer of said kits appears to be concern about securing a sweet deal of some kind. RE: The Eminem Tigers jersey; 8 Mile besides being a movie, is also the name of the road that separates Detroit from its northern suburbs. Dale Earnhardt Jr. won Fourth of July race at Daytona with MLB 2001 All-Star Game promo car. Budweiser continued All-Star tie in with the car for 2002 and 2003 Daytona July races. Joe Gibbs Racings also had Bobby LaBonte wear racing helmet of various NFL teams (often repping team close to where race held) for much of 1990s. DC United had nice kits from the start. Will say Columbus Crew logo one of those you suddenly miss once they finally shelved it. Agreed on both points. I appreciate how the Crew’s old insignia was a posterized photo instead of springing from a designer’s pen. New academic and athletic logos for Northern Michigan. I know for a fact that the Alabama logo is NOT for the 125th Season. That logo is commemorating another program milestone. If Alabama goes for “125th Season” in 2016 it will be a change from their celebration of the “100th Anniversary” in 1992. The 125th Anniversary isn’t until 2017. Alabama would be celebrating the ordinal if they do something in 2016. Interesting, given Paul’s recent 3/8/16 post. 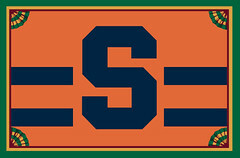 Auburn also celebrated the 100th Anniversary in 1992, and there’s no indication they are planning anything in 2016. Perhaps they will stick with the anniversary route for 2017. That looks like Nick Saban’s signature on the bottom of the logo. This upcoming season will be his 10th season as head coach, I think. The Eminem jersey submission was me. Ugh: “The Giants say they switched to matte helmets because the players think they look cool”. Players should be able to decide HOW they wear their uniforms, not WHAT they wear. Players, especially PLAYERS, should have zero say in a team’s uniform program. With his hair style and cuffs to his jeans (dungarees?) rolled up the worker also looks retro. “Los Angeles changed the name of the road leading to Dodger Stadium as Vin Scully Avenue.” That “as” should be “to”, I think. While Vin Scully’s name is totally appropriate to the address of Dodger Stadium, it is kind of a shame to lose the name “Elysian Park Avenue”, which evoked the Elysian Fields, the Hoboken location where organised baseball was first played. I appreciate you saying TMS is in Fort Worth instead of Dallas. Wish more folks understood there is a vast difference. Interesting that the “socks” on the firesuit feature stripes and the cap logo. Is that something the Rangers are actually doing with their socks nowadays? Was there any news that the color of the Road Blue top the Mariners are wearing this year is a lighter shade of navy blue, and/or a different material? Appears it may be a color change due to Flexbase? What you’ve shown may be a correlation (or may just be different lighting, or a variation in dye lots), but it is definitely not causation. Official color spec in Style Guide is unchanged. Cleveland shifted to the darker shade of navy two years ago, I think. If memory serves, the only team wearing the lighter shade of navy is Milwaukee. Why would the suit be any different other than outer design? The suit would still have to be SFI 3-2A 5 which protects the wearer from 2nd degree burn up to 10 seconds in the event of a fire, and would have to be designed to Brandon Jones’ specifications, as well as having the associate sponsors present. It has to be made of Nomex, as no other material provides the fire protection and breathe-ability as Nomex. It’s just a suit with a different design. Thanks, David. I thought I’d ask, just to be sure. Because sometimes asking is how you learn things. My point is that, like every other sport, driver uniforms have to meet a certain set of criteria…unlike most other sports, the uniform will keep the wearer from being burned alive in a fire, and the requirements need to meet that criteria.